These illuminated Gold Sisal Gift Boxes come in a set of three, which are in graduated sizes ranging from 26cm in diameter to 35cm in diameter. 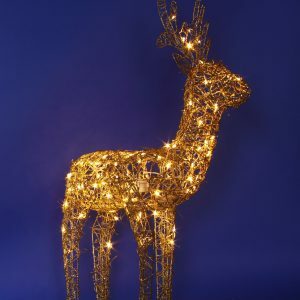 These are an enchanting way to instil excitement about the coming holiday season, as well as the wonder surrounding what gifts and goodies will be coming this year! 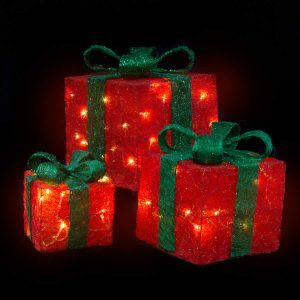 Set these on a porch or in a foyer to beckon to visitors and friends, or place these near your own Christmas tree for a magical accent that will awe children of all ages. 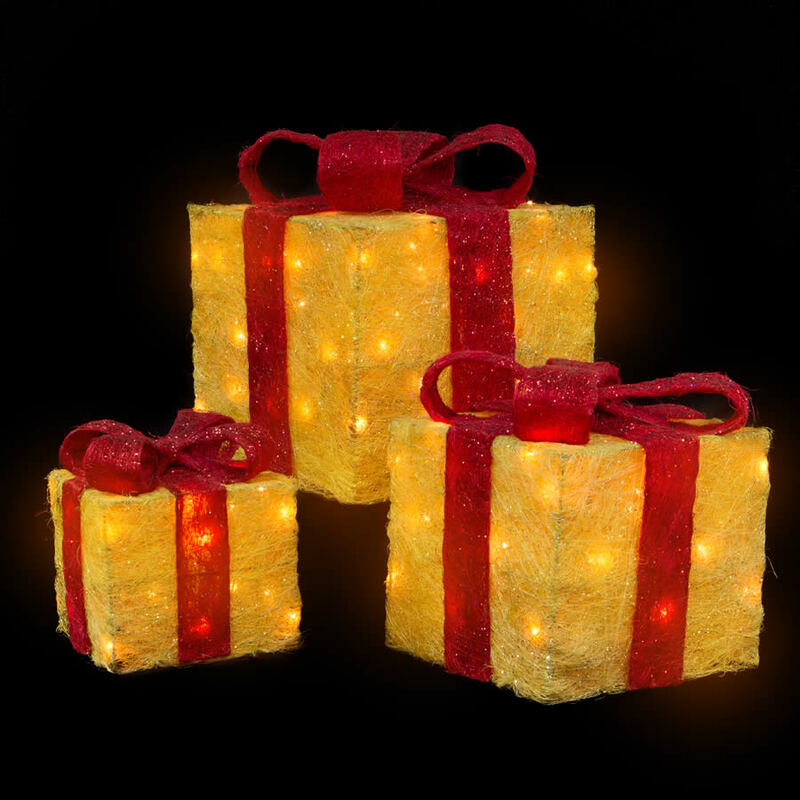 These come with a cord of LED clear lights that are both brilliant and energy-efficient, and when grouped together, these Christmas Light gift-boxes can be illuminated to dazzle as they shine through the sheer texture of the Sisal surface. These are a great compliment to any of the other Sisal accents that are also offered and sold separately.